The Golden Thread kicks off The Chameleon Effect series, starring shape-shifter teens with extraordinary superpowers. 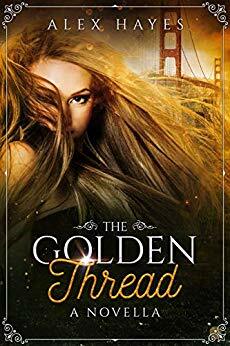 If you’re hooked on YA fantasy with a paranormal twist, The Golden Thread promises a fun ride with a few out-of-this-world surprises. $0.99 on Kindle. Find more books like "The Golden Thread" on kobovskindlereviews.com. We feature both reviews of ereaders and discounted + free books on Kindle. Browse more books in the Teen & Young Adult. Disclaimer: "The Golden Thread" price was accurate on April 17th, 2019. However, Amazon Kindle book prices can and do change frequently and without notice. Before you buy a book on Kindle, it's best to double check the price. If you purchased a Kindle book that you thought was free, you can return it by following the Kindle book return instructions here.